Introduction: Once upon a midnight dreary, while I pondered weak and weary, what should I cut open today? It is only appropriate that this Halloween we take a closer look at a raven, ok so not really a raven but a bird nonetheless. This exciting new lure has garnered a lot of interest from topwater anglers that would like to flip-in the bird at aggressive largemouth. 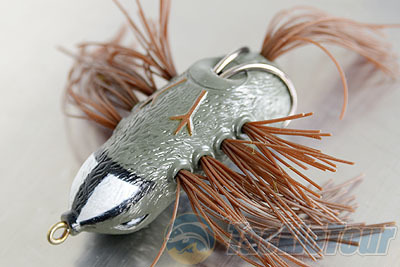 The "Bird" is a new lure created by angler Sam Kennedy and his new company which is cleverly called "Flipin the Bird." 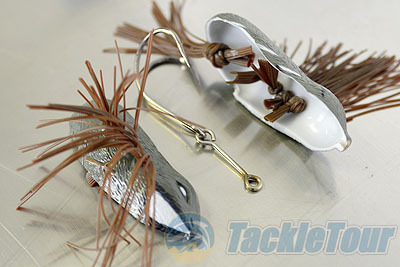 This uniquely styled lure is designed to be thrown into thick cover or slop but also can be fished in shallow or open water. It can be retrieved fast or slow and makes use of many of the same basic principles and features found in traditional frogs including a hollow body to promote buoyancy and rubber skirting to mimic feathers instead of legs. Many anglers have witnessed largemouth taking out small birds and even ducklings. Here in the Bay Area proficient frog fishermen often modify their frogs to mimic bird patterns when fishing topwater on both the Delta and Clear Lake. The Bird takes this concept to the next level and resembles a small distressed bird that has fallen into the water. The Bird measures 76mm in length and weighs only 5/8oz. There are three patterns available including Grey Finch, Red Winged Black Bird, and White Chested Tree Swallow. Each Bird is armed much like a traditional frog with a two pronged weedless pre-rigged hook. 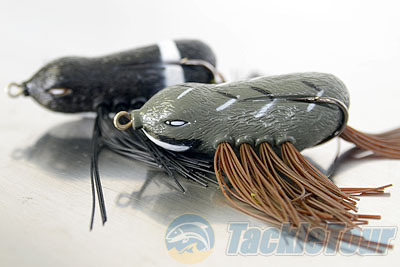 On each side of the lure there are four holes in which various lengths of rubber skirting extend outwards to form wings. When we pulled on the rubber strands we noticed that they would not come out at all, the same can be said for the tail skirt, this is quite unlike the legs of most hollow bodied frogs which make use of a single bunch of strands fed through the limbs. 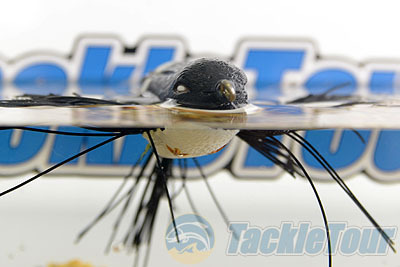 The body of the Bird is also very soft which helps expose the hooks once any pressure is put on the hollow body. In the test tank we found the lure floated very evenly and within a few seconds the rubber strands would spread outwards and downwards giving the lure a very realistic profile. Like most hollow bodied frogs a small amount of water can enter the hollow body but a small squeeze is all it takes to purge any liquid. The Bird doesn't have any rattles and the only noise it creates is splashing as it is skirted across the surface. 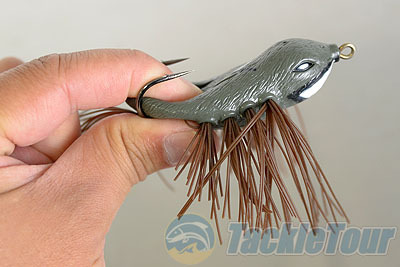 When twitched in the water the many rubber appendages create vibration around the entire lure. 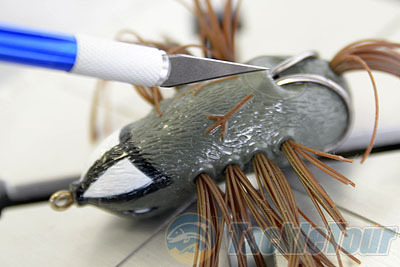 There is a lot visually going on with this lure, not only do the patterns mimic actual bird species, but the detailing of the rubber body is inspiring. The lure's body is textured to give it a more genuine look and even the eyes and leg profiles are painted to stand out from the rest of the body. With blade in hand it was finally time to see just what makes this bird float. We sliced the Bird upon right down the center and was immediately surprised. I had previously thought that each of the wings was formed by four strand bunches which extended through the entire lure, instead I found the reason why when we tugged on the rubber it didn't move at all, each of the wing segments is formed with a single group of rubber skirting which is tied off to lock the section in place. In all there are a total of nine individual segments. 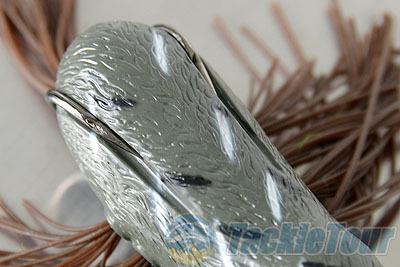 Like hollow bodied frogs the hook is directly connected to the line tie for strength and reliability. In the lab the hooks were very sharp and had barbs on top. Overall the Bird is simple and yet the implementation is excellent, what we saw in the lab has only been reinforced by the short few hours we have been able to spend with the lure fishing at Clear Lake. 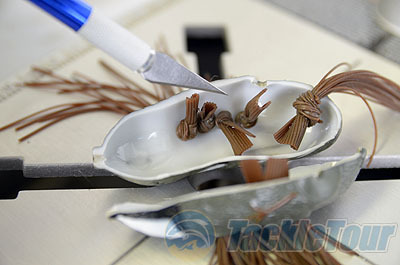 What we have noticed is that the lure is very easy to fish and remains weedless when fished over even thick and nasty vegetation, and because each of the skirts is individually tied there is absolutely no issue with the wings coming out or losing their well thought out profile. ...And the raven, never flitting, still is sitting, still is sitting.... okay enough with the butchering of Edgar Allan Poe's poetry. 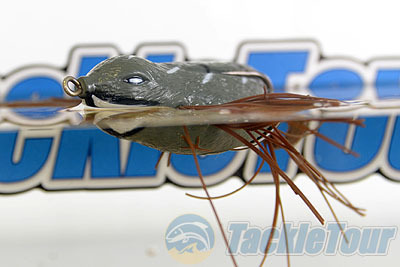 The bottom line is this lure absolutely does "sit" very nicely on the surface, accurately mimics a bird that has had the misfortune of falling into the water and is now easy prey for the large-mouthed green monsters that reside below the surface. This Halloween anglers would do well to stray from the usual frogs and rats that they typically toss and flip-in the Bird.